Documents Required For Counselling All Exams : 1. DOCUMENTS REQUIRED DURING COUNSELLING PROCESS : Many students all over India appear for entrance exams other entrance examination or tests to get admission in a reputed University to pursue their Degree / Diploma programmes or further higher education or other admission. All these aspirants must to give an entrance exam for getting in to any recognized and reputed Institution or University. Al these exams are of objective type with multiple choice answers questioning. 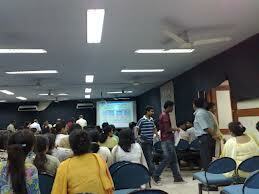 Once a candidate clears in the exam, he has to appear for the counseling process. These counseling procedures are based on rank the candidates have scored. This generally happens in various Universities for allotting a seat to the aspirant in the college and University based on his/ her interest. Consolidated mark statement / Mark sheets of the qualifying examination. DEMAND DRAFT (DD) for amount towards full tuition fee OR part of tuition fee whichever is less. Based on the rank secured by them, students have to choose the various Institutions from a list of University affiliated Colleges that are presented Offline or Online as per the Rank secured. As per the rank scored students are asked to choose reputed collages to get admission. Students with good rank will be given more preference for admission in the reputed institution for education.